Dr Mona Kaur is a graduate of the University of Adelaide Medical School. She completed general practice training in Victoria between 1996 and 1999 and has worked as a GP in rural and urban Victoria, Western and South Australia. She has undertaken postgraduate studies in nutritional and environmental medicine with the Australasian College of Nutritional & Environmental Medicine (ACNEM) since 1997 and is a member and lecturer with the college. She has also undertaken training with MINDD Foundation. She stays abreast with ongoing development in the field of integrative medicine. Dr Kaur has run GP practices in Adelaide between 2007 and 2016 providing consultations in family medicine, women’s health, chronic diseases, weight management and mental health. In addition to routine medicare tests, Dr Kaur incorporates integrative testing into her medical practice. These include dried urine testing for comprehensive hormones (DUTCH), salivary hormone profiles, complete digestive stool analysis (CDSA), hair or urine analysis for heavy metals and minerals, food intolerance (IgG) testing, organic acid testing, urine pyrrole test, methylation tests, urine iodine tests and nutrigenomic testing. She provides patients with informed choices for health management via lifestyle and mental health counselling. She is an ardent believer of the Hippocratic quote, “let food be thy medicine and medicine be thy food”. 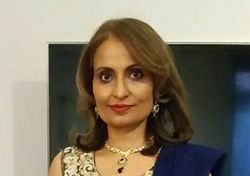 On the personal front, Dr Kaur is a dedicated mother, practices Kundalini yoga and enjoys dance (classical Odissi, bhangra and salsa), world music, researching and reading. Her life-long goals are to enhance her personal and spiritual development and to educate people that true health is created through accessing our inner wisdom.